Buy new, rare and discontinued and hard to find collectible Legos and Bionicle kids building toys and Boy Toys. Kids (and those big kids too!) 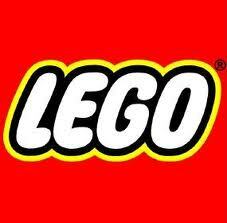 love Legos and we stock the Newest and Hard to Find Legos for everyone on your shopping list. Enter the wonderful world of Playmobil and enjoy the fun! Let your little ones imagination run wild as they discover new ways to play. Playmobil offers different styles of play and adventure for both boys and girls ranging from dinosaurs and pirates through to fairies and ponies. Playmobil is sturdy yet easy to hold which means the fun never ends! There are lots of different types of Playmobil so you and your little ones can create whole new worlds and games. From the Agents sets to Indiana Jones and Star Wars, at Kids Place For Toys, we are sure to have what you are looking for!